In complete contrast to last week's WOW that was focused on injury prevention, we present three workouts designed to push your limits. As you go through these three workouts, you'll either feel like you are celebrating a well deserved victory lap from the hard work you've put in over the last 8-weeks OR the whole experience may feel like a punch in the face as you careen from one exercise to the next. 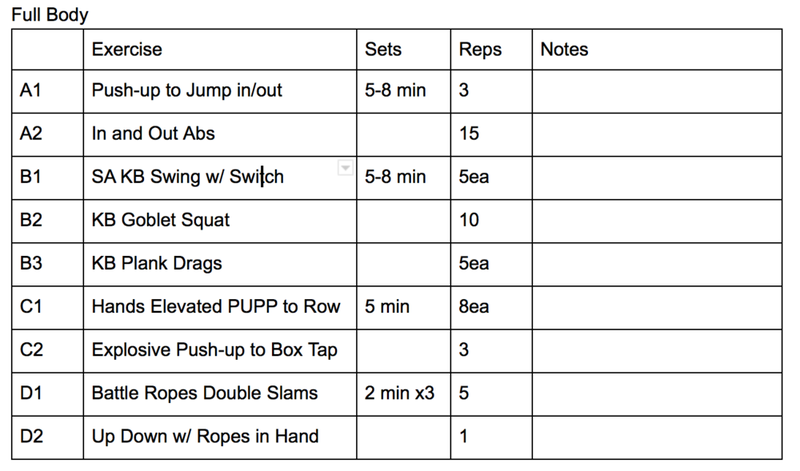 Here is week 8 of the 8-week conditioning program. If you haven't started but want to give it a go, please head on back to Week 1 to get going! Thank you to our intern Ashley for her hard work on putting together these great workouts over the past 8-weeks.